As you can remember my first solo trip at Makiling Botanic Gardens, this is Thailand-themed restaurant is the reason of me wanting to go to Laguna on my own, for the very first time. You see, I am a huge fan of Thailand, the people, the movies, not quite the food, and their culture. So when I heard about this place, I decided to go. I was really excited for this place that I hadn’t anything for breakfast aside from burger. I arrived around 12pm. 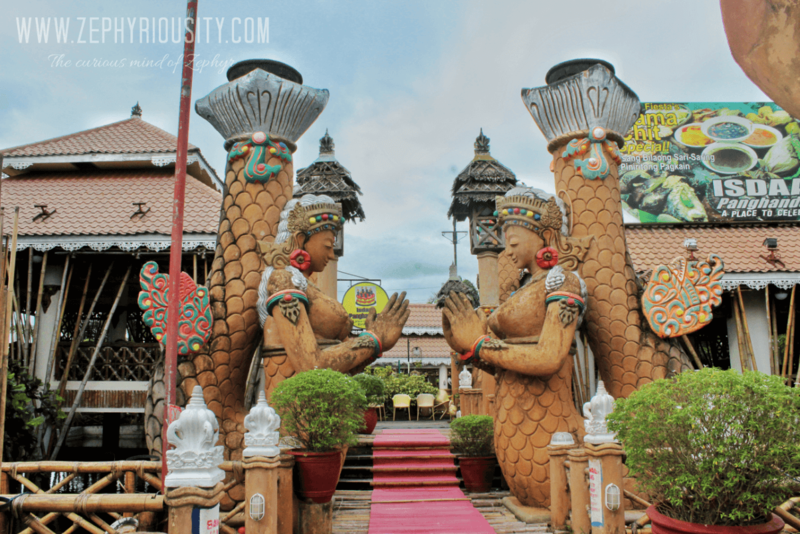 Calauan Isdaan Park is also known as Isdaan Floating Restaurant and Fun Park which is located at Calauan Laguna, passing across the National Highway. From Olivarez Plaza, ride a jeep going to Sta Cruz, Laguna and ask the driver to drop you off to Isdaan. You can actually notice this place in a minute as this is across the highway. Note: Be mindful when crossing the streets on Olivarez Plaza, you might get mistaken of Jaywalking. From Cubao MRT Terminal, ride a bus going to Sta Cruz, Laguna at HM Bus Transport. Fare is P99.00. The bus leaves almost every after 15 minutes. Ask the driver to drop you off Calauan Isdaan Park. From Isdaan Floating Restaurant, cross the streets. Wait for a bus with a Cubao Signage. There is no entrance fee on this restaurant. Even the boat ride is free, but it will be on your concience if you have nothing to give to the bangkero. There are lots of cavanas/kubos where you can stay and eat. Too many Buddhas to watch over you. Delicious foods that will never be good for a single person because they serve for groups. If you really want a quiet place where you can think, eat and rest, Calauan Isdaan Park is for you. There is no need for reservation. Visit this place now, and let me know your experience. For more Calauan Isdaan Park photos, visit Photo Diary: Calauan Isdaan Park.